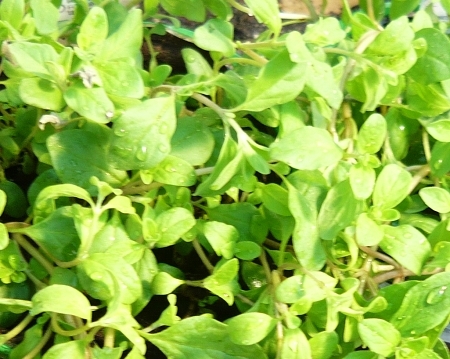 Sweet Marjoram - Most commonly used culinary variety of marjoram. Has a distinct sweet scent and flavor used in meat dishes, soups, potato salads, meatloaves,etc. Low growing trailing habit makes this a nice plant for hanging baskets and containers. Pinch back flower heads to keep strong and bushy. Perennial in zones 9-11+ Live starter plant in 3 inch container.